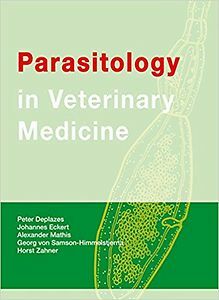 Parasitology for basic and advanced studies and veterinary practice. 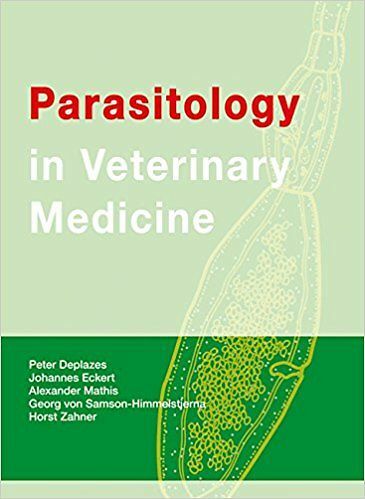 The classical textbook Parasitology in Veterinary Medicine, now available in an updated English version, is not only ideal for exam preparation but is also of relevance in veterinary practice. The book allows easy and structured learning by providing a clear outline of the subject matter and practical chapter summaries. All relevant protozoa, helminths and arthropods that cause parasitic diseases or act as vectors of pathogens are presented. Overviews of treatment and control measures are given per animal species and enables rapid contextual orientation. Zoonotic and food-borne parasites are also discussed. Memorable life cycles of parasites and excellent colour photographs of the clinical symptoms and pathological changes illustrate the contents. Diagnostic panels allow for rapid differentiation of the developmental stages under the microscope. In the glossary numerous technical terms are defined and explained etymologically.